Dieser Song fährt extrem ein. Rock vom Feinsten von den Nickelback. Super! 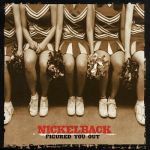 Ein weiteres Highlight von Nickelback! Der geile Rocksound passt hervorragend zur markanten Stimme von Chad. Bei diesem Song wird es nie langweilig. ... und zu agressiv. Trotzdem noch melodisch genug, wie man es eben von einem Song dieser Band erwartet. <br>Allerdings haben sie sich da auch erst im Laufe ihrer Karierre gesteigert. Gute 4.<br>#65 in den USA, #10 in Australien und die 5. Nr. 1 in Folge in der Heimat Kanada.<br>Tolles Plattencover mit den Cheerleaderbeinen.<br>Weniger toll die gewalttätigen, aggressiven Lyrics. Love this, probably my favourite single from this album. Possibly the worst opening lyrics in music history, this track is crass, tasteless and classless, and is pretty gross, but not overly horrible compared to some of their others. It has a cool sound. Pretty good but some of the lyrics are bad. I do admit I really like the somewhat unusual structure of this song and it always fascinated me when I was younger how he went from loving/liking the things to hating them. It makes more sense to me now that I figured out what the lyrics are about. Some pretty horrible lyrics indeed (like aforementioned ones and I'd also like to point out the one about his hands being around the other person's neck). I don't blame one for hating it but I can still muster up some like for it. One of their worst singles ever. Some terrible lyrics in this one, but the music mostly makes up for it. Had there been better lyrics, this could've been a great song. 3.5*. Definitiv einer der schwächeren Songs von Nickelback. <br>Da hatten sie schon schlechtere Songs als Single ausgekoppelt. <br><br>2003: #65 USA und dafür gab's Gold.